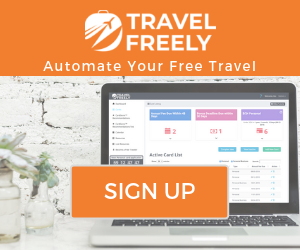 The large majority of Travel Freely members see their credit scores improve! Read How Free Travel Increases Your Credit Score to learn how this is possible. 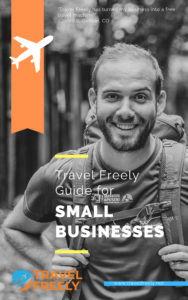 Travel Freely has filtered through hundreds of articles and websites dedicated to this topic and condensed the information into just a few pages so that you can save time and be sure you are doing the right things to increase your credit score. Enjoy, and keep track of how your score improves! If you are brand new, be sure to review the TF Beginner’s Guide to Credit Cards and Credit Scores before moving forward. Here We Go: Credit Score MAXIMIZING. c) Earn free travel through rewards credit cards and spending bonuses. However, if you have had spending problems in the past or cannot be certain that you are ready to spend only what you have, then you need to wait until your finances improve or you have proper budgets in place before opening any credit cards. As you will see below, you only have to make a small purchase each month to begin increasing your score. In order to build a credit history, you have to have credit. If you currently don’t have any cards or accounts, it is important to begin with one or two easy-to-manage accounts. Remember, debit cards and cash payments do not establish or help your credit. You can only build your credit by having credit. So, even if it means getting a secured credit card, you need to start the process. You can still use your debit card and cash for your expenses, but adding at least one card will establish a credit history and get you on your way to future loans and free travel. Let’s learn how to improve your credit score by each credit factor. If you have a “0” on your Credit Karma report under this category, this is great news! Let’s keep it that way. There’s no reason to receive any derogatory remarks in the future if you are aware of your finances and pay your bills on time. If there are any remarks, use your Credit Karma app to research what they are and verify them. If they are not familiar to you, you may need to dispute them with the credit bureau to remove any misinformation. For everyone in good standing, your payment history should be 100%. If it is not 100%, do some research to verify that all the information is accurate. Be sure to dispute anything that is not accurate because this can affect your credit score in a major way. Keeping your payment history at 100% is simple: Make all of your payments on time!This means paying off the Statement Balance when your monthly statement becomes available. You do not have to pay off the entire Current Balance (you can if you want) because the more recent charges will show up on the next statement balance. Also, you want to ignore the Minimum Payment Due because this means you will be carrying a balance and paying interest — this is never recommended. Making all your payments on time ensures that you will never pay any late fees, and you will never pay interest on your cards. 2) Call the number on the back of your card and tell them the situation. Ask them to remove the late fee and any interest charged. Remind them that you are a good customer and that this has not happened before. Without much hassle, most companies will gladly remove these fees. You do not need to make up a story or act apologetic, it’s a routine thing for them to do. This is good news when things get busy and you forget to pay. Now, a little tip for those still wanting to use debit and cash for their expenses. In order to establish a good payment history, you just have to make one payment per month on the card. So, if you are not wanting to manage a card, consider this easy system: Put a recurring subscription such as Netflix or Hulu on this card. Then, setup the card to be paid of with autopay through your checking account. Just like that, you’ve got a 100% payment history established and you don’t have to think about anything! Your CCU is the total balance on your cards divided by the total amount of credit you have available. For those with few accounts, it is important to keep your balances low and be aware of your credit limits. It is good to have a low CCU (and bad to have a high CCU). Obviously, this will fluctuate based on when you pay your bills. The higher your available credit, the easier it is to have a good CCU. Just be careful that you are not getting to close to your limits, as this can have a negative impact. When you are starting out with one or two cards, your credit limit may be very small, between $200-500. The credit card company wants to make sure you can be responsible with a small amount. However, after 3-6 months of an account being opened, it is a good idea to call the number on the back of your card and request a credit limit increase. This will raise your credit limit and make sure your CCU is always at a good, low percentage. This action alone will raise your score. Also, when applying for new cards, it is good to apply 1-2 weeks after your cards are paid off. For example, if you pay your cards off on the 5th of the month, try applying for cards between the 12th-19th when your CCU will be reported as low. Overall, remember that having more credit available will make you more attractive to credit card companies and banks. It is one of those counter-intuitive facts about credit reports. 1) Always keep your oldest accounts OPEN. It is to your benefit to have old accounts. The longer your credit history, the higher your score will be. Many people think it’s a good thing to close accounts that they no longer use. This not true! So even if there is an account from a credit union way back in college, you want to keep it open in order to benefit from that long history. It will help even out your average account age when you open new cards. 2) If you want to close an old account because it has an annual fee, call the number on the back of your card and ask them if you can “Downgrade” your card to one with a $0 annual fee. This will keep your account open and will not count as a credit inquiry! The other possibility is negotiating with the company to lower your fee or credit your account; sometimes this is possible if you are a long-term customer. When closing or downgrading, always remember to have a $0 balance so you do not hurt your score. 3) If for some reason you opened an account and decide 24-48 hours later that you don’t want it, it is best to keep it open. You have already caused a hard inquiry and it will look bad if you immediately close an account. Unless the company tells you that it can be reversed, keep the account open. So, be extra sure that you are ready to open an account before you do so. Even if you don’t have any credit cards, you may have several accounts. These accounts could be current or previous car or home loans, a cable bill, cell service, etc. If you have been added by a spouse, friend, or the family member as an authorized user, you may have their account listed here too. If this is the case and you are an authorized user, the details of the account will show this when you click on the account description. If you have few accounts, we will get you started with some basic credit cards, but you also want to consider if you can become an authorized user of someone else’s account. Becoming an authorized user does NOT make you responsible for payments or balances. Becoming an authorized user allows you to be part of a primary cardholder’s account and benefit from on-time payments made by the primary account holder. This will increase your score, though not as much as being a primary account holder. Ideal Scenario: Believe or not, but the credit bureaus give an Excellent rating to people with 21 or more accounts! This may seem like a lot, but multiple credit cards, loans, and other lines of credit can add up quicker than you think. This does not mean you need to open loads of accounts, it just shows you that the credit bureaus see many accounts as a good thing. This is also a low impact factor, but it is important to keep these to a minimum. The two words you need to know here are: “hard” and “soft”. These are the two types of credit inquiries. As noted above, hard inquiries will show up on your credit report for up to two years. Soft inquiries will NEVER show up on your credit report. Hard inquiries are done when you apply for credit cards, home or car loan, or any other type of credit like cell or cable service. Soft inquiries, are done by companies when trying to get you certain offers or by software like Credit Karma. These soft inquiries do NOT affect your credit score. It is important to avoid hard inquiries as much as possible. Just an extra note, some “credit experts” make a big deal about how opening new accounts can negatively impact your score. A new account can lower your score because of a hard inquiry, but it is temporary and just a few points. Your score will go back up and most likely increase just a few weeks later. Now, if you are in the middle of getting a home mortgage or car loan, your banker does not want to see any change to your credit activity. If this is the case, delay opening any cards until these loans are finalized. Also, sometimes auto or home financing companies will shop around for the best rate. You want to be extra careful that they are not giving them free reign for multiple credit inquiries. Make sure to ask if they will be doing hard or soft inquiries. Any soft inquiry is fine, but some car dealerships are known to ring up 5-10 inquiries as they search for the best loan and then charge you extra for this service! • Consider using free apps such as ExpensIt, EveryDollar, and Mint.com, or simply Google “Budget Spreadsheets” to get some basic tools that can help you stay on track and feeling empowered about your finances. • Consider an Identity Theft product such as LifeLock or ID Shield. This is modern day insurance that will protect you from all sorts of fraud. *Note: Credit Karma utilizes the same type of formulas that TransUnion and Equifax in order to give accurate scores. 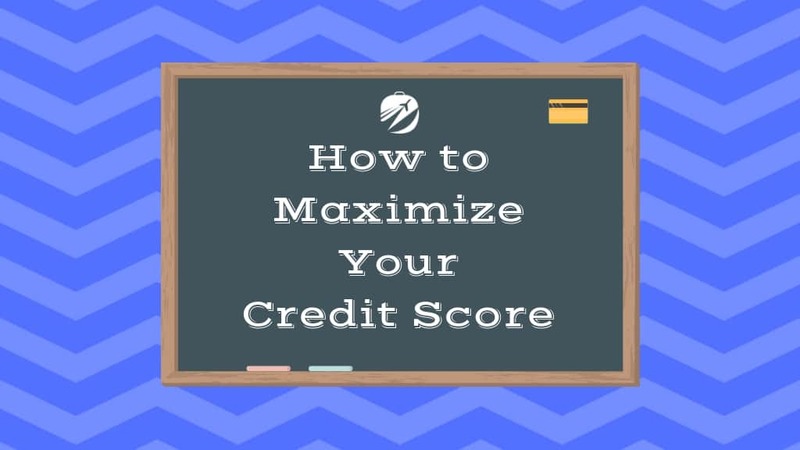 However, these scores will not be the exact scores given by these credit bureaus. I have relied on CK for the last 3 years and have never been disappointed in their software.